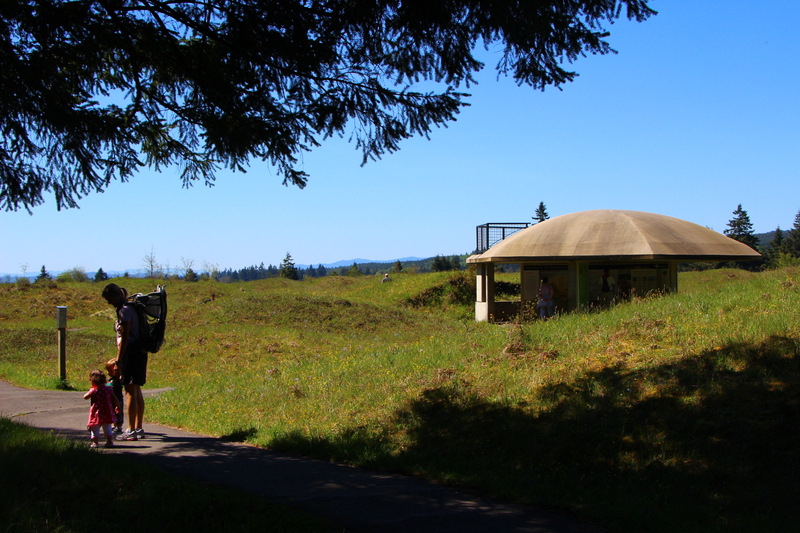 At Mima Mounds Natural Area Preserve there is a half-mile paved trail. Walk the paved path for 0.3 mile to find the trailhead for the prairie loop trail. Once on a soft-surface path, head into the heart of the mounds. The surrounding forest has encroached on the prairie-invasive plants too, like the dreaded Scotch broom. The Washington State Department of Natural Resources and volunteers are trying to restore the prairie to the way it appeared when Native peoples periodically set fires to them, keeping the vegetation in check. More Mima Mound information can be found here. For a complete story about other ways to enjoy the Capitol State Forest, click here.